bustling markets and breathtaking gardens, Mysore offers something for everyone. This city is not small. 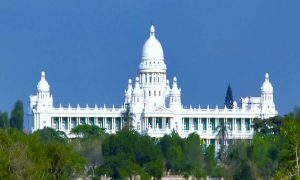 In fact, it is the second biggest city in Karnataka. Hence, if you really want to explore the city, don’t try it on foot. Instead, let our Mysore sightseeing taxi service help you. Mysore is spread over an area of 152 sq km. Thus, it can take a while to see everything in this city. You could do it in your own car but do you really want to be stuck finding a parking spot? We have the perfect solution for you – a reliable and safe Mysore local sightseeing taxi service. That’s not all; our Mysore sightseeing taxi fare is affordable as well. Need to be picked up at the airport, picked up from your office or finished touring the Jaganmohan Palace? No matter where you are, our Mysore tourist cabs will be there for you. Just give us a call or book a cab online and tell us when and where you need us. It’s easy to get lost in a city like Mysore. Even people who have lived here for years often find themselves taking detours. However, our drivers know the lanes and by-lanes of Mysore like the back of their hands. 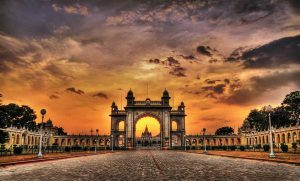 When you hire our Mysore tourist taxi service you can rest assured that you will reach your destination in the quickest time possible. 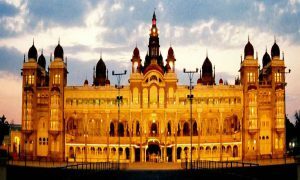 Our Mysore local sightseeing taxi fare depends on the type of vehicle you choose and the amount of time you want to spend sightseeing. If you’re traveling alone, pick between our hatchbacks and sedans. On the other hand, if you’re part of a larger group, pick a vehicle from our range of multi-utility vehicles and coaches. If you want to sightsee in style, we also have a range of luxury cars that you can hire as a Mysore one day taxi.